Savory muffins are a wonderful addition to a lunch or dinner table breadbasket. Or make them in a mini muffin pan to serve with evening cocktails. 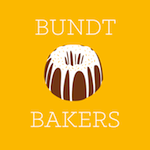 This week our ingredient of choice was supposed to be blueberries but regular readers will recall that last week I baked in a bit of a panic as I rushed off to a blog workshop. The ingredient for last week was cinnamon and I thought blueberries would go nicely. And indeed they did! 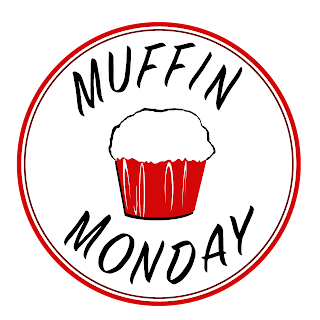 But when I sent in the photo to my fellow Muffin Monday baker, Anuradha, the return email said, “Is this one for next week?” I must confess that my response was a curse word. One that is allowed on US television, but still. And then she kindly agreed to change this week’s ingredient to chives! I love those green onion tops and almost always have some in the vegetable drawer. They liven up salads, add color to stews and who doesn’t like a healthy helping on a baked potato? They are also one of the main flavor boosters (or perhaps their slim French cousins, ciboulette) of herb and garlic goat cheese. 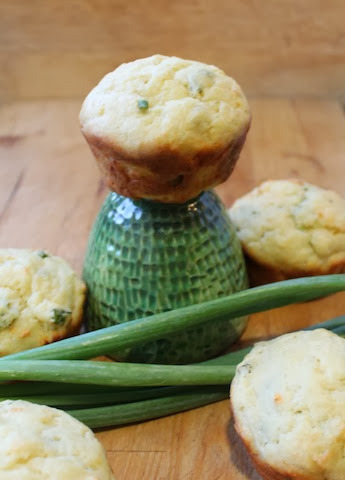 Strictly speaking, I didn’t use the name brand Boursin, but Chive Herb and Garlic Goat Cheese muffins seemed an unbearably long title. Boursin gives the correct idea of how these muffins will taste and, of course, YOU can use the real thing. If you are serving a savory muffin to non-Americans, you might want to prepare them for that fact. Not to paint whole nations with one sugary brush, but I have been informed that the rest of world assumes a muffin is sweet. Was my informant correct? I’d love to hear your opinion and experiences. 200g herb and garlic goat cheese – slightly frozen. This is very soft cheese so it doesn’t really crumble or cut well. I find that if I freeze it for an hour or so, I can cut it up with a sharp knife just before folding it into the muffin batter. That way you still end up with some solid bits of cheese. Preheat your oven to 350°F or 180°C and prepare your 12-cup normal or 24-cup mini muffin pan by greasing it thoroughly or spraying with non-stick spray. In a large bowl, mix together the flour, baking powder, chives and salt flakes and stir well. Chop your sort of frozen cheese into crumbles and small chunks. Fold the cheese into the batter. For full sized muffins, bake in the preheated oven about 20-25 minutes or until a toothpick inserted in the middle comes out clean. Mini muffins will take less time so keep an eye on them. Cool on a rack for a few minutes and then remove the muffins to cool completely. Because of the cheese, you may have to run a knife around some of the muffins to remove them nicely. See that golden brown? Best part of the whole muffin! These go just as wonderfully with a glass of beer or wine as they do with a cup of coffee. 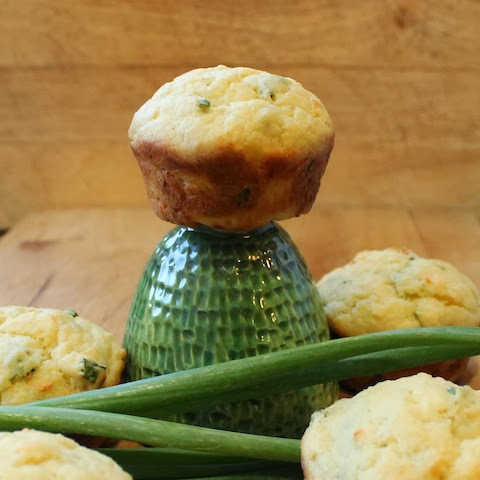 I love chives I love goat cheese I loooove these muffins!!! I know this will be a real shocker, given that I blog about desserts...muffins are meant to be sweet. 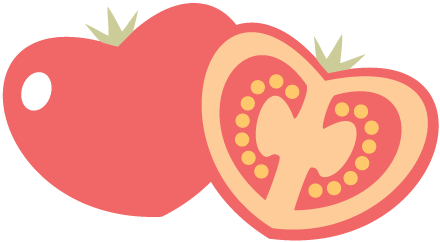 Having said that, I also LOVE savory ones, too. 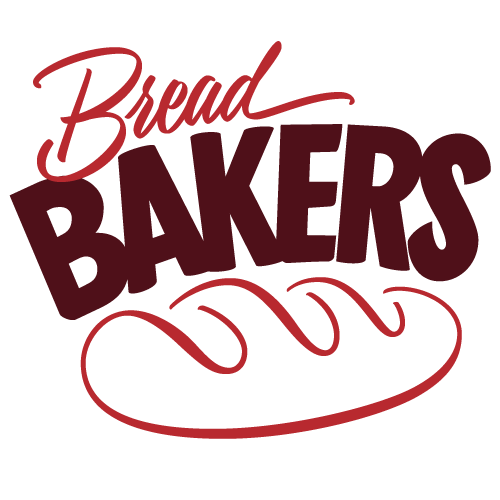 I just usually have other people bake them! This recipe, however, is changing my mind. I want to make these!! Cheesy muffins?? Oh yeah, I'm in!! Cheese in anything is good, but it goes especially well in muffins! These sound so good! Can't wait to try them out on my Italian friends! I love Boursin and I put chives in almost everything. Perfect savory muffins for me!